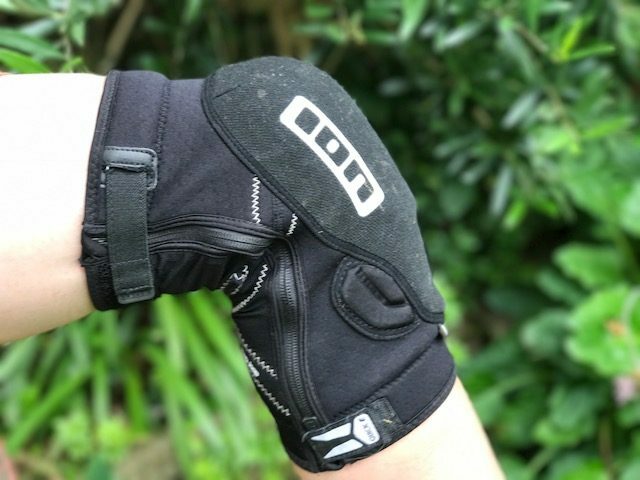 Perhaps unsurprisingly for a knee pad from a company with its roots in surf wear, the K-Lit Zip pads from Ion are made with perforated neoprene – just like a wetsuit. 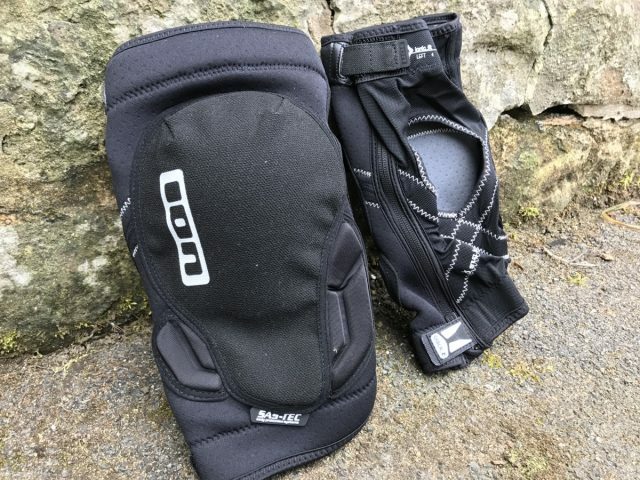 Mesh panels provide greater breathability to the back, and unlike the K_lite R pads we reviewed previously, these have zips up the sides – so you have the option of putting them on or removing them without taking off your shoes. Like the K_Lite Rs’, these have a soft shell construction. However, the way the K_Lite Zip pads protect the knee is a little different. Rather than the high density foam pad found on the K_Lite Rs’, the K_Lite Zips use a combination of soft SAS-TEC material on the inside, with a series of hardshell caps that sit on the outside. The idea being that the hardshell caps help to provide a more effective barrier against sharp rocks and protrusions, while the soft SAS-TEC liner provides more squish and comfort. The pads sit well over my knees and don’t feel too bulky or constrictive to wear. They’re also a nice length, extending just far enough down my calf, and also high enough up my thigh – it has been easy to find shorts that meet them. 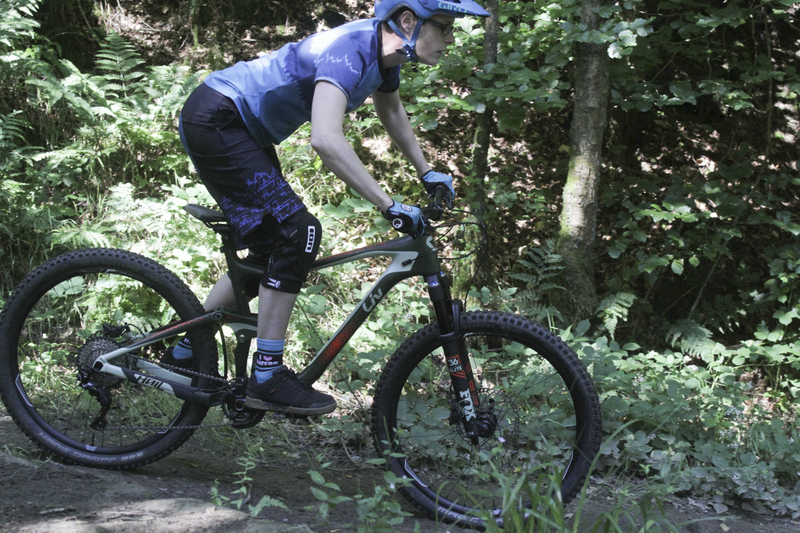 I’ve worn these knee pads for some proper scary descents and have been glad I’ve had them on. Even when pedalling in hot weather, when the terrain warrants knee pads, I’ve found I’m far too busy focussing on the trail ahead to worry about having warm knees. Yes, they are quite thick and warm, but they stay put well enough and don’t rub so I never really noticed this. On one occasion I even wore them over a horrible swollen bug bite my on my knee without it causing any additional discomfort. 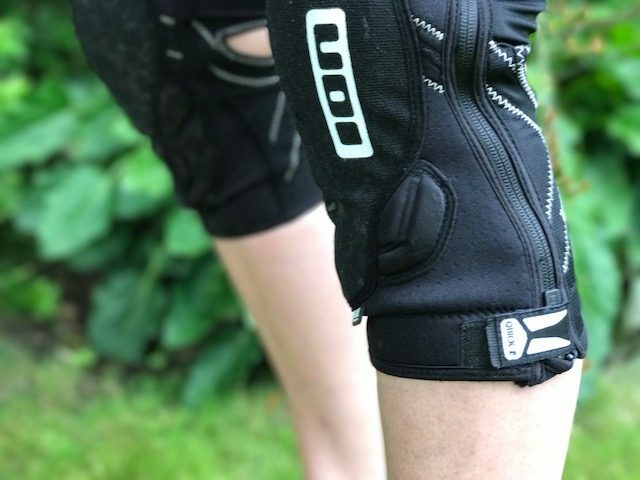 In the event that you do fall off (and I have, repeatedly, while wearing these), they provide an excellent level of protection on the knees, and somewhat less protection on the sides. I’ve recently been Trying A Bit Harder™, which has resulted in a fair amount of falling off. The difference between hitting the ground in these and hitting the ground in something less substantial but lighter for pedalling in is noticeable. That said, in summery weather, if the trail ahead isn’t tricky enough to require your full attention then the warmth might get to you. They articulate well despite the fairly thick neoprene. The zips are handy for whipping them off at the end of the ride. It’s quite fiddly putting them on using the zips but this does gets easier with practice. I’ve not found the velcro cinch straps are particularly needed as they fit my legs well so I just stick them down rather than tightening them much, although annoyingly the upper ones have started to pop open rather easily now. I did try out the pull on K_Lite R version of these pads and found the fit quite different, preferring the zip up version for its longer cut, generous padding and more snug fit. The lesson? There’s more of a difference than just the option of zipping these off might suggest, and one may well suit you better than another. 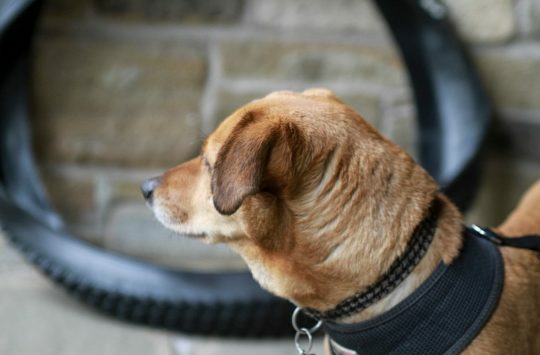 Fit is quite different to the zip-free version. I’ve done a lot of falling off in these, and my knees aren’t bruised. These are now the pads I reach for when I’m heading out to push myself a bit harder.